Mikoroshoni Primary School has linked up with Parkfield Primary School, Middleton, Manchester for their ‘Walk to School Challenge’. All the Mikoroshoni Pupils walk to school everyday. Some pupils live close to the school and have only a short walk each day whilst others live some distance away and may have to walk up to 45 minutes to get to school. For those Parkfield Primary School pupils who travel to school each day by car, their challenge is to walk to school on one day a week for a whole year. Each month the pupils who have completed the ongoing challenge are awarded badges and the best class is awarded a plaque. 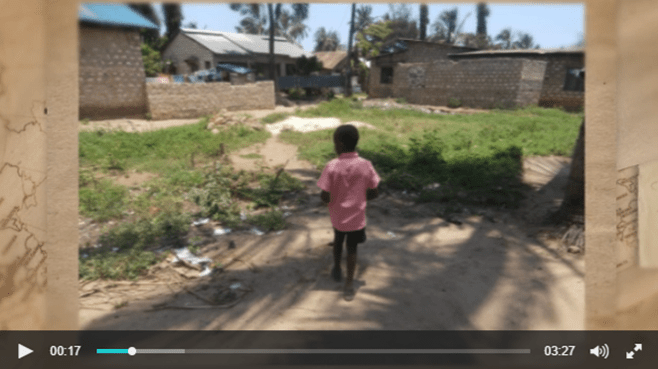 The pupils from Mikoroshoni shown walking to school are Zawadi Karisa, Class 3, who has a 25 minute walk to school each day, and Mumba Ngumbao, Class 2, who has a 10 minute walk to school.